Back in December 2011 The Department of Rural Development in Northern Ireland issued a press release "Online Flood Maps have been updated with information now available on areas across the north that may be affected by flooding from rivers, sea and now rainfall "
"The Strategic Flood Map also gives helpful information on the location of flood defences already in place to reduce risk and is intended to increase awareness among the general public, local authorities, utilities and other organisations about the risk of flooding. This is to enable them to be better prepared to take appropriate action to reduce the impact of flooding. Announcing the changes to the Strategic Flood Map, the Agriculture and Rural Development Minister Michelle O’Neill said: “Flooding can cause major damage and disruption and by providing information we can all better manage flood risk. I see the Strategic Flood Map as an essential tool as it enables everyone to understand the risk they face." Last October, very heavy rain had caused a great deal of chaos and occurred at the same time as there was severe flooding in Dublin. 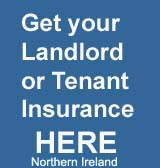 So if you live in an area that has had flooding or could be flooded, you can often find that it is much harder to get property insurance. Quite often companies will increase premiums, increase excsess levels or even refuse to insure a property.